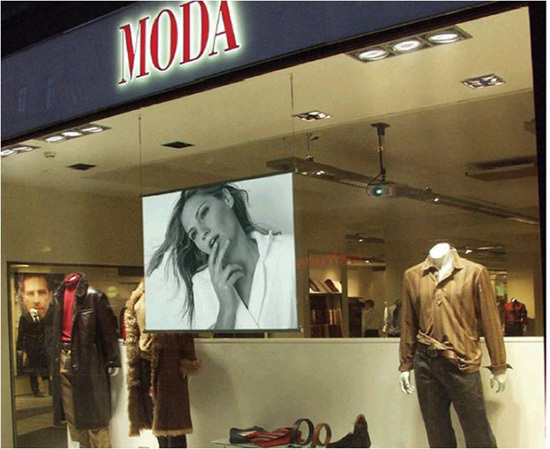 In the first article on displays for digital signage we looked at video walls and their advantages and disadvantages. Now we turn our attention to the suitability of Projection technology in digital signage applications together with the advantages and disadvantages of this technology in such installations. A projector is of course a fairly well known display device, especially by anyone who has presented to a group of people, or sat in a sales presentation. It is the weapon of choice for large screen presentations especially given its small size (ignoring the projection screen for the moment) which means portability. It’s the dream display for any salesperson who regularly presents to clients. There are also different technologies used in Projection systems, such as LCD, DLP etc. This article is not going to drill down to that level of detail, but rather look at the technology as a whole. Of course being portable is not really a requirement for permanent digital signage installations so let us look at the advantages and disadvantages of this technology. Cost effective – Modern projectors are getting brighter by the day, and projection screen technology, both front and rear projection are getting more efficient. This can mean that when it comes to screen area the technology provides one of the best size/price ratio. Flexibility – There are many configurations that can be deployed. Front projection, rear projection, and even multiple projectors can be ‘stitched’ together to create some very custom displays. Brightness – Be very careful when selecting this technology in an area with high ambient brightness. For example many people put this technology in retail shopfront windows, and generally during the day it looks wishy washy but in the evening it looks brilliant. 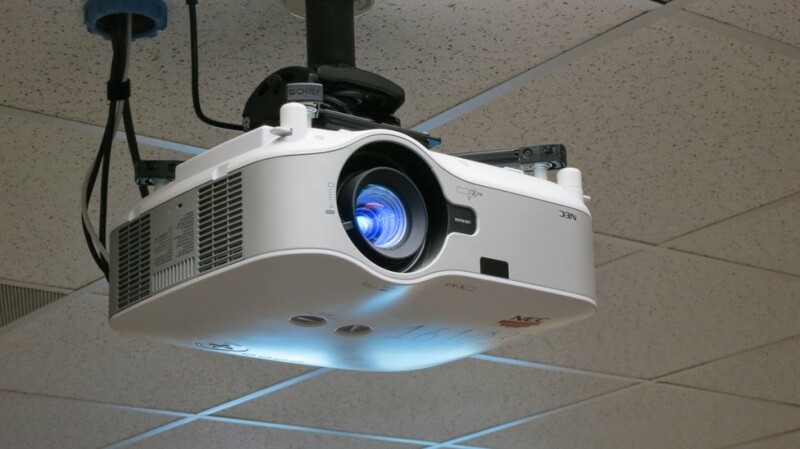 Cost of ownership – The bulbs used in projectors have a typical life of around 2,000 hours and can be very costly. So factor this into your ROI calculations. Also make sure your digital signage software can power manage display screens and turn them on/off as appropriate, do not rely on store staff to switch them off in the evening as that invariably does not happen. Installation – You need to make sure that the projector and the projection screen are in line, do not vibrate, and the path is not obscured by customers etc. That’s it for projection technology. In the next article we will discuss perhaps the most ubiquitous of modern display technologies, LCD screens.